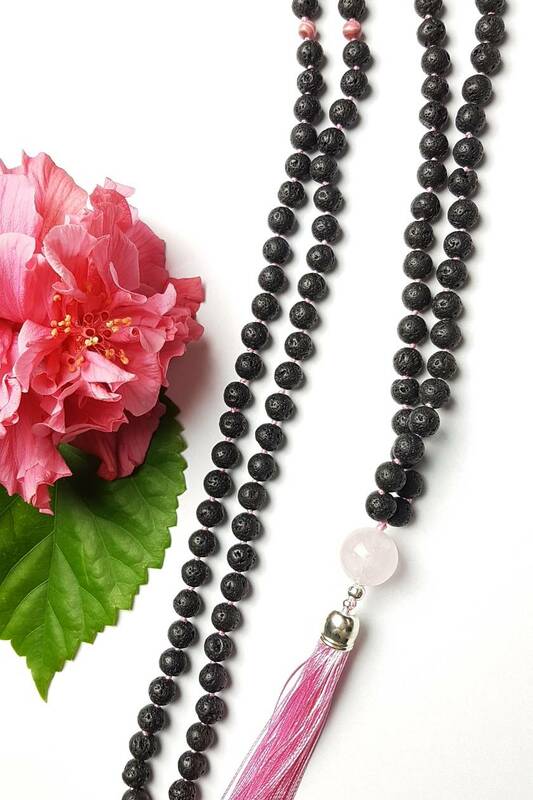 volcanic rock and pink rose quartz, hard earthyness and soft sunsets. Each bead is hand-knotted protecting the beads if the strand should break. Hand-knotted strands feel luxurious and soft and fall and drape beautifully. 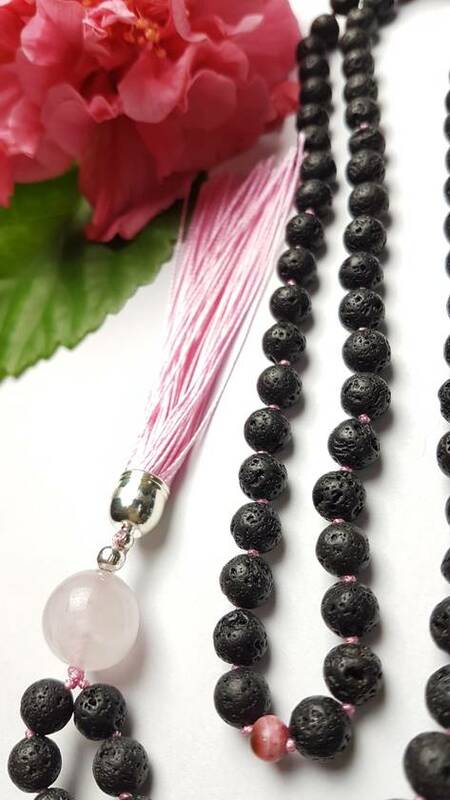 Every 27 beads have a pink rhodonite marker bead. 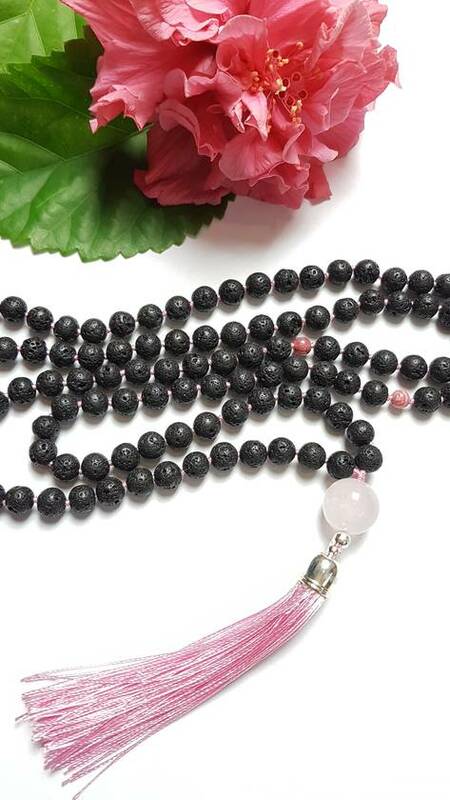 A large pink quarts ball and long pink tassel finish of this lovely piece.